Caddens Locksmiths 2747 NSW is a new suburb located in Penrith (off Caddens Road) in the Greater Western Sydney Locksmith area. Newly built suburbs require a lot of attention and security must be installed at its best. Building a new home its always good to have a safety fence around a property, but ensure you have also added chain and padlocks to lock up each panel. Remember when building a new home you need to have water board and electricity services – you cant place any lock on your gate you require a special lock that is pre master keyed. 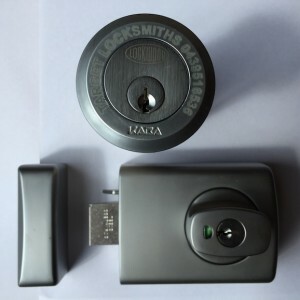 When choosing the right Locks, try to use Brand Names that Locksmiths use and Trust. Builders often install cheap buy in bulk style Locks and within a few years the coating and paint start to wear away and the internal parts of the lock fall apart. Having quality locks installed on yours doors is important to keep your home well secured. So you live in a new Estate and what a Locksmith that is cheap and a Locksmith that will look after you? Your looking on the right page – Give us a call for a free no obligation quote over the phone.